Small-scale multilingualism of the kind used in Agnack Grand, the tiny village in the Lower Casamance where I conduct my fieldwork, seems worlds away from the bustling, superdiverse city of London. But actually, a closer look reveals that proportionally, Agnack Grand has more linguistic diversity than one of the most cosmopolitan cities in the world. London has been reported to host between 80 and 300 languages for a population of 8 million. Agnack Grand counts a dozen languages for a population of 60. That makes for a stunning degree of diversity for a very small and rural place tucked away between palm groves and marsh lands! Like London, Agnack Grand is nominally associated with only one language: Baïnounk Gujaher. But, unlike English, this language is not the official language of the country or province in which Agnack is located; nor is it the language taught in school or used in the media. Daily life in Agnack is very multilingual, and in a very different way from the way multilingualism works in London. London is home to many people who speak one, two, three or more different languages, but not all of them speak the same two, three, or more languages, and they don’t use these languages all the time and with everybody they encounter. In Agnack, everybody speaks at least six languages, and these languages are used all the time. Multilingualism in Agnack is a trait of individuals, and a deeply enshrined fact of social life. Places like Agnack, of which there are many in rural Africa and worldwide, defy common conceptualisations of multilingualism (for instance, that it is widespread in urban areas and associated with growing mobility and migration in an era of globalization) and invite us to shed stereotypical expectations on what it means to speak several languages. Places like Agnack also invite us to see multilingualism as a resource, not as a problem. 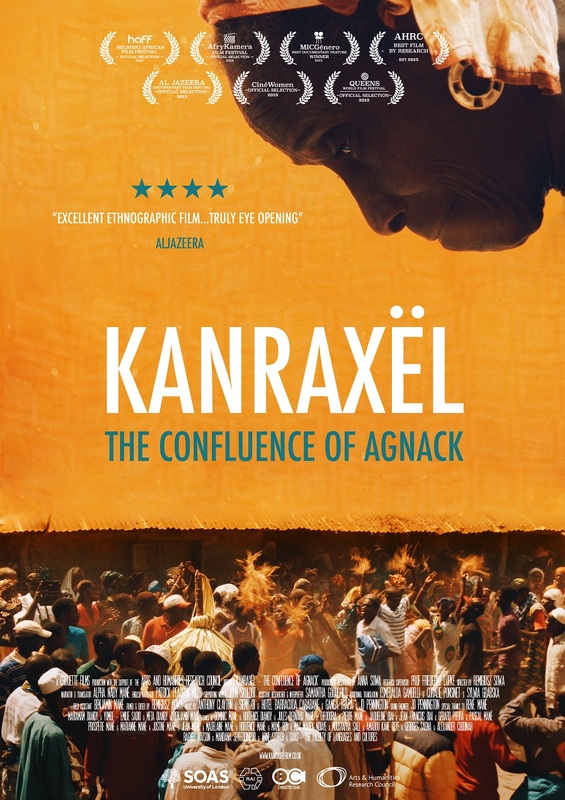 It is a great opportunity for the team behind Kanraxël – the confluence of Agnack to be able to bring multilingualism à la Agnack one more time to a London audience: we will screen this documentary at an event organized by Multilingual Capital at Queen Mary University of London on March 23 at 7pm. Registration is free on Eventbrite, so come along and immerse yourself in a visual celebration of small-scale multilingualism.